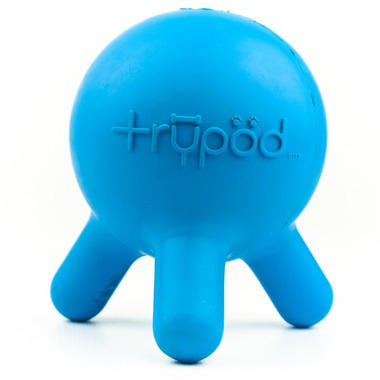 The trypod is a 100% natural rubber 3 legged alien ball! Long, soft & durable nubs not only make this product fun to chew on, but also bounce in random directions! (H / W / D): 3.75" x 3.13" x 3.13"
Bought a bone toy and this one - and this ball wins. Want them to play by themselves, or distract them from something else, drop some kibble or a few treats inside - and they're occupied for ages! Good buy, well made.